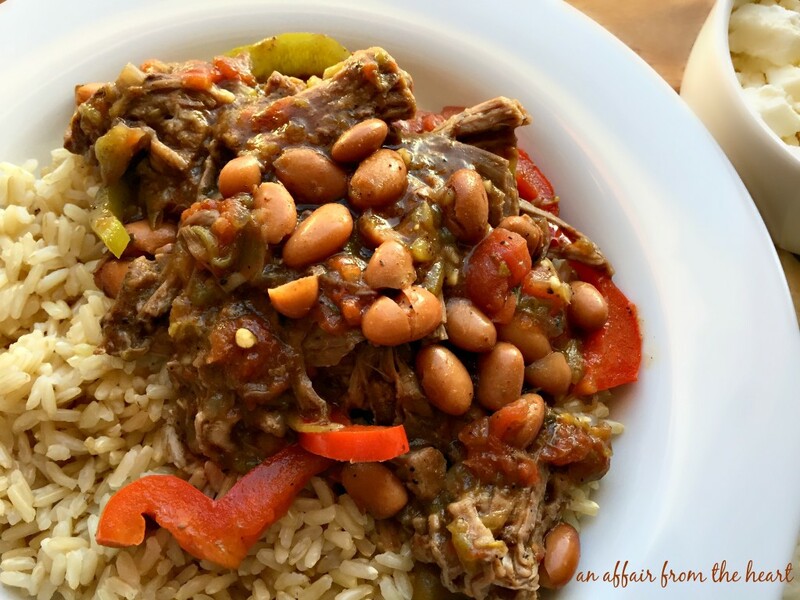 Flank steak, peppers, pinto beans and spices, slow cooked all day and served over rice. 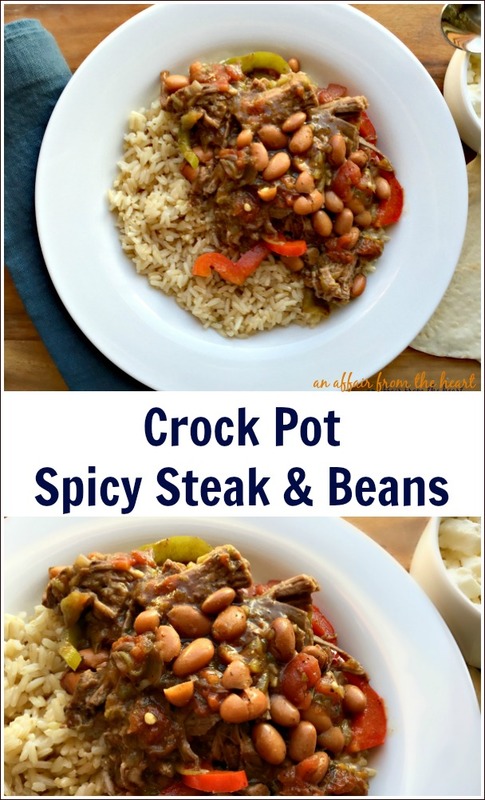 I am always happy when I find a good crock pot recipe that my family loves. They make life so much simpler, even on the busiest of days. Recently I was standing in line at the supermarket, reading the covers of the magazines. I came across one from Better Homes & Gardens called “Skinny Slow Cooker Recipes.” I have made a couple of the recipes, but so far, this one has been our favorite. 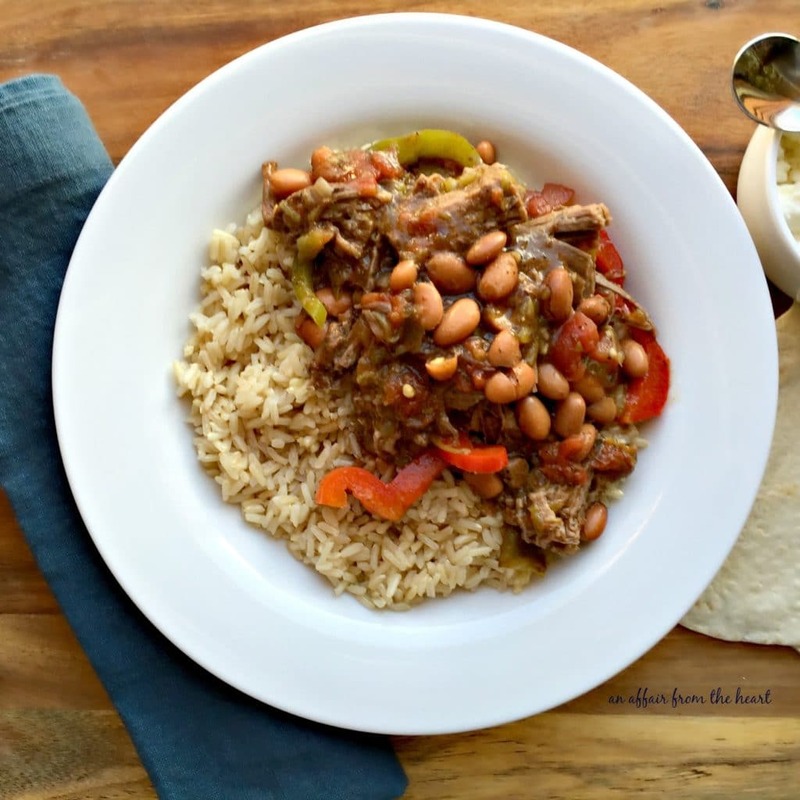 I had never cooked with flank steak before, I loved how tender it was from my crock pot! Green and red bell peppers, pinto beans, Rotel and flavors like cumin, chili powder and oregano gave it just the ideal amount of spice. Serve over rice and top with feta cheese if desired. Serve it with warm tortillas for wrapping or dipping. Place meat in the bottom of your crock pot. In a bowl mix together Rotel, onion, garlic and spices. Pour over the top of the meat. Cover and cook on high for 31/2-4 hours or slow cook on low for 7-8 hours. minutes before eating, turn crock pot to high (if previously using the low setting) add beans and peppers, cover and cook for 30 minutes. Slice or shred meat. Mix contents all together and serve over rice. Top with feta if desired. 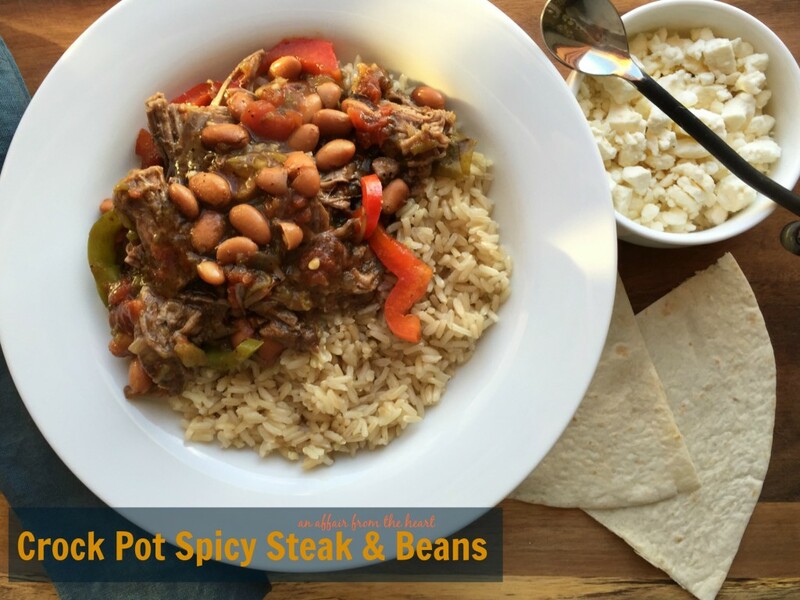 Find loads of crock pot recipes on my blog! I love making your meal times easy, so you can gather your family around the table any chance you get! You know this recipe speaks to my soul! I love everything about it! A must try for sure! I have never made flank steak in my slow cooker, this sounds so flavorful and delicious, I will have to try it soon!